A few SEALs came across this gravemarker and became curious. They did not recognize the name as being a SEAL or a Silver Star recipient. The grave marker is in the Eternal Valley Memorial Park, Newhall, Los Angeles County California. Upon doing genealogy research, it was determined that this man changed his name. The exact date is hard to pin down. 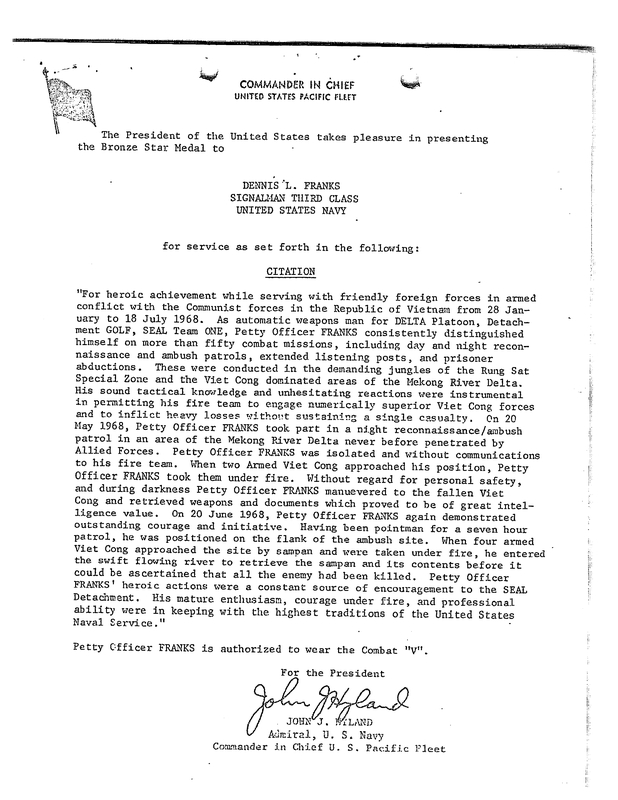 Dennis Leroy Franks was found in the BUD/S – SEAL database. He served with the US Navy SEAL Team One, just like the grave marker says. 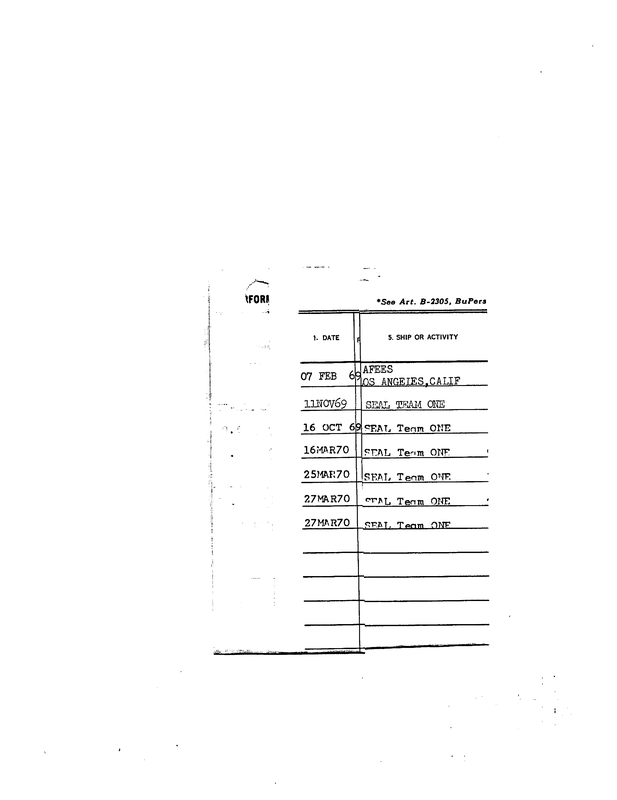 Dennis Leroy Franks’ military records were ordered via a Freedom of Information Act (FOIA) request. 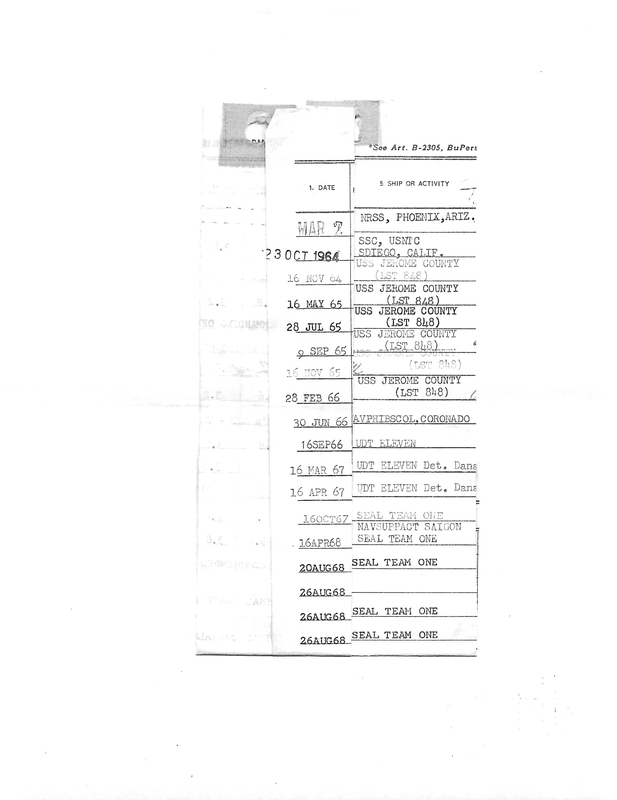 Besides confirmation of Franks in the BUD/S database, his records support him being with SEAL Team One in Vietnam. He has some impressive Navy Achievement Medal awards, along with a Bronze Star. He has no Silver Star, however. Why the name change? A newspaper search turned up what may have lead to Franks changing his name. 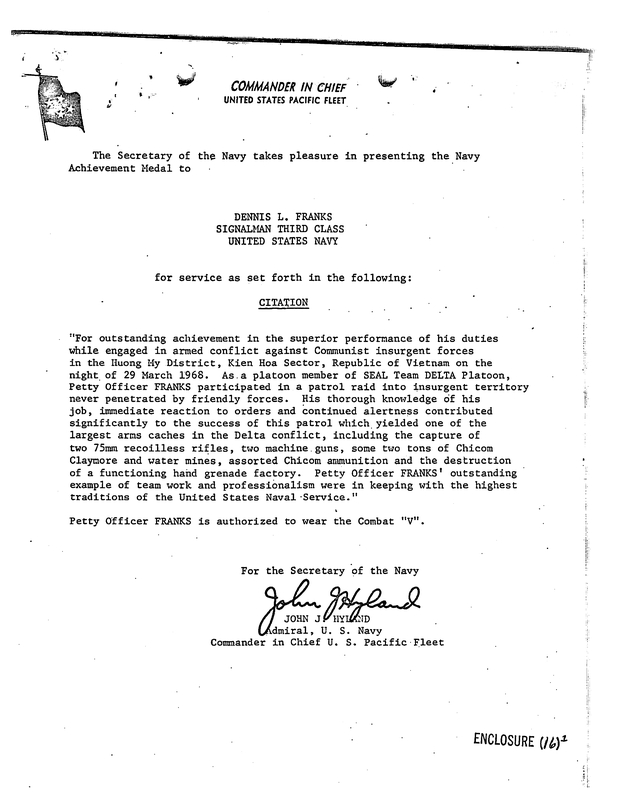 The military records do not support Singh/Franks’ claim of being awarded a Silver Star. It is a huge mystery how he got that award put on his grave marker. The rest of the story is tragic and sad, especially for the victims. 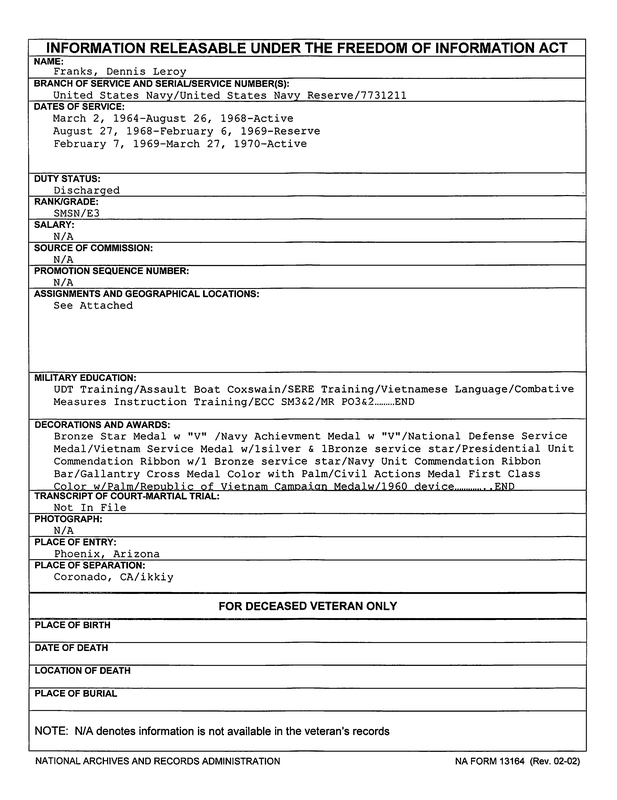 Many of the claims attributed to Siri Dharma Singh/Dennis Leroy Franks were not supported by his official military records. 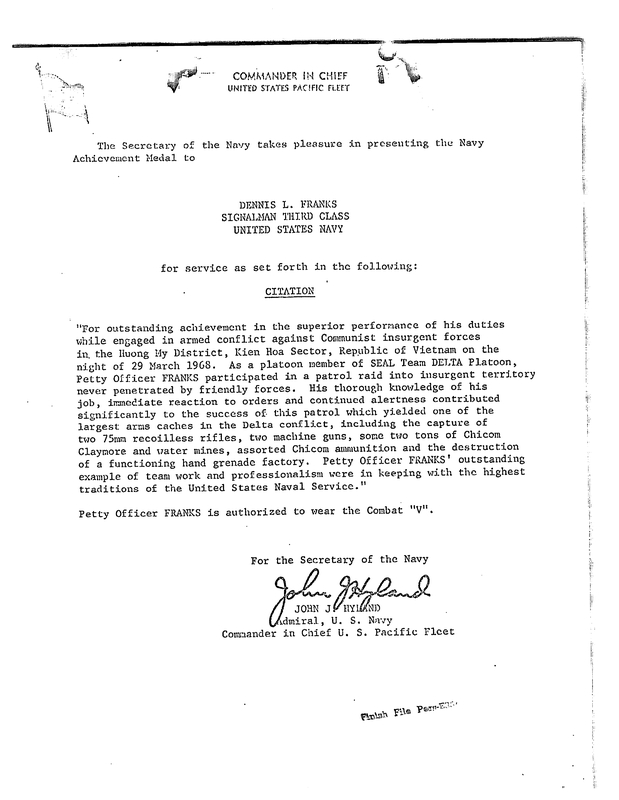 Since a Silver Star is included as an award protected under the Stolen Valor Act, perhaps someone should look into correcting the record in regard to Singh/Frans. I’m curious how he got that grave marker at all. He was still in the Navy when he was arrested for multiple rapes. I’m sure he received a dishonorable discharge which would have precluded him from receiving any VA benefits, including a grave marker. I knew this Sailor when he was stationed at the ‘Fib Base. He even adopted a Orphan from the Orphanage in Da Nang. Something happened to him to make him go so wrong. Could there be some underlying cause? We’ll never know now. 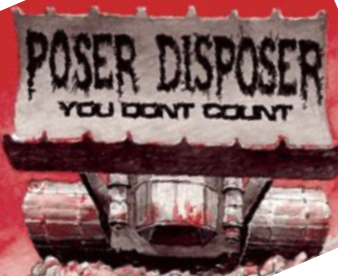 You need to determine whether or not he was ever prosecuted on those charges, and if so, what was the disposition of the case? There is always the possibility the charges were dropped, or plead down to a lesser degree, or expunged from his record at a later date. Another possibility is that the Navy didn’t prefer charges. In 1970 they had a tendency to brush these kind of things off. 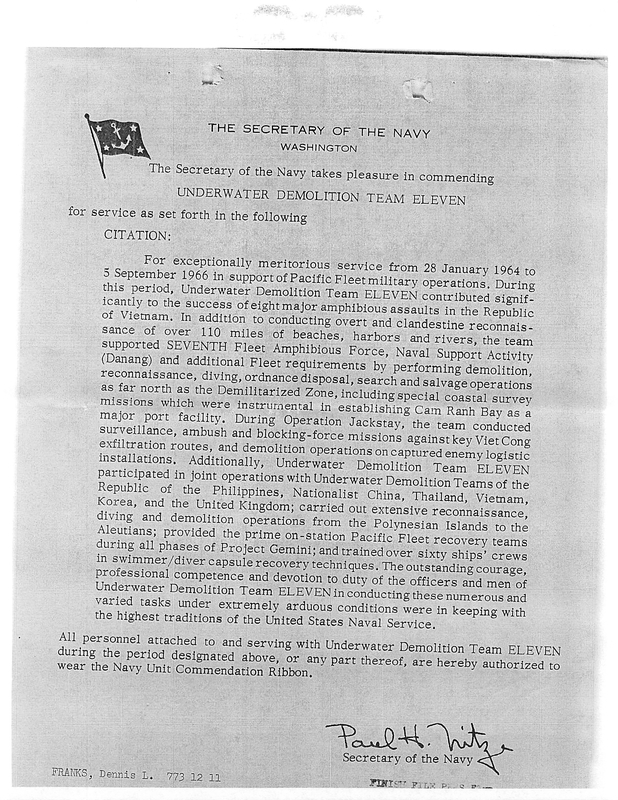 As to the Silver Star on the marker; probably a statement by mistaken relative. It’s happened before. Believe me when I say that we tried. Criminal charges are difficult to trace that far back, hence the reliance on newspaper articles. 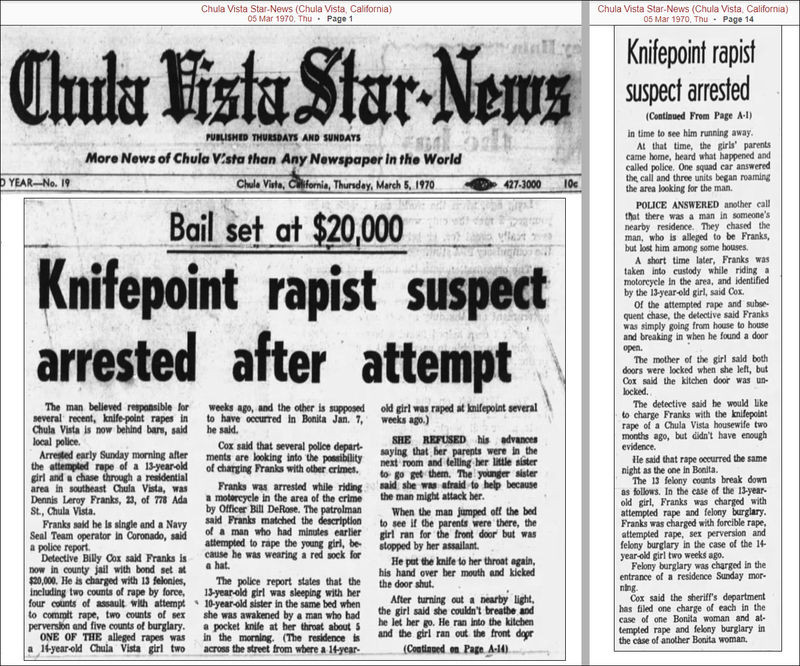 We searched far and wide, but there were no followup newspaper articles in regard to these charges. 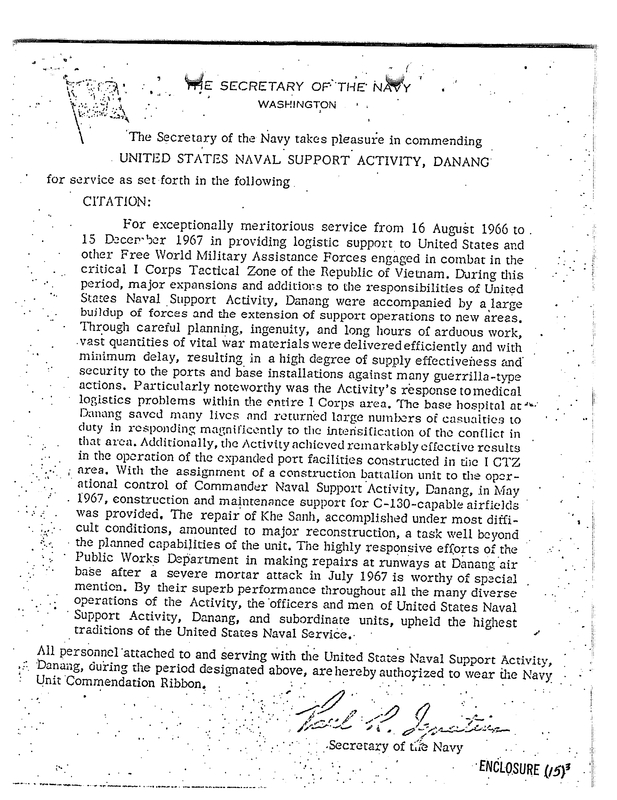 However, he got out of the Navy soon after these articles appeared. Best we could do. We agree it would have been better to have more information to complete the picture. Mistake. Copied over from another blog. Thanks for pointing this out. Makes me sick to my stomach. Clearly a hero who lost it along the way. Sadly many innocents suffered at his hand….An all around FUBAR.